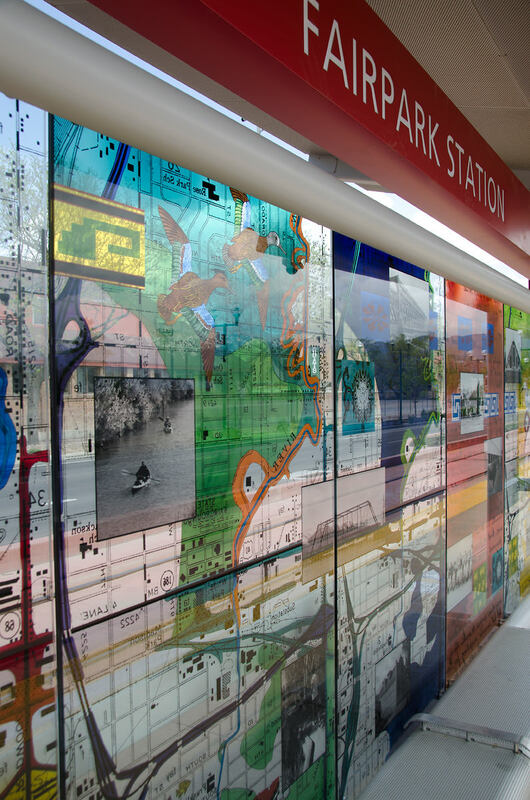 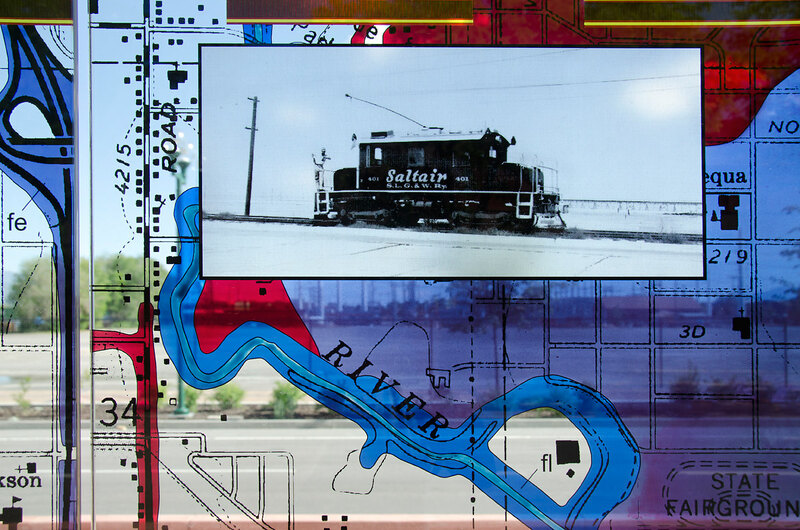 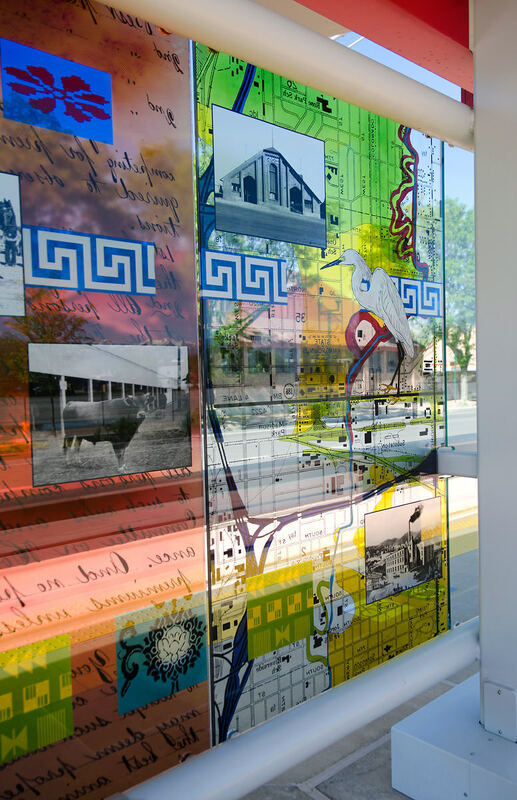 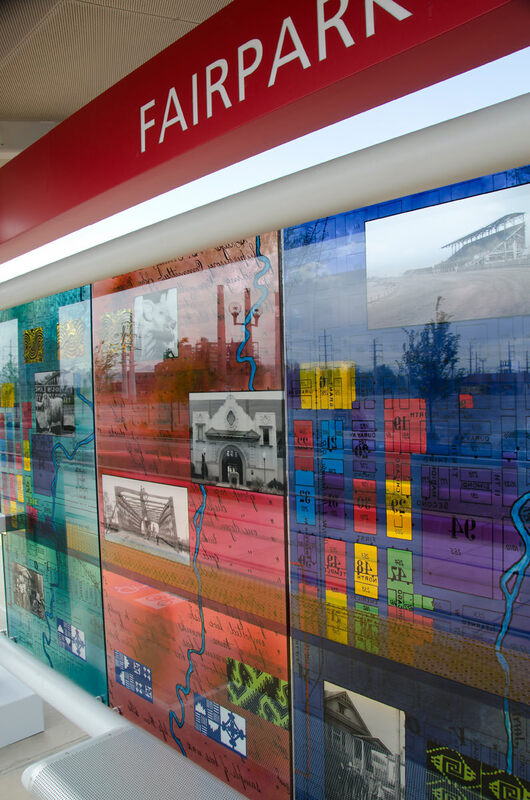 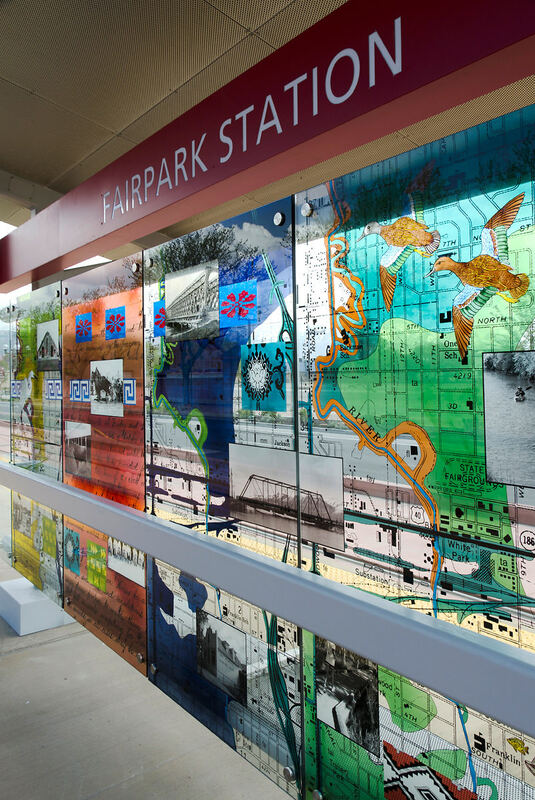 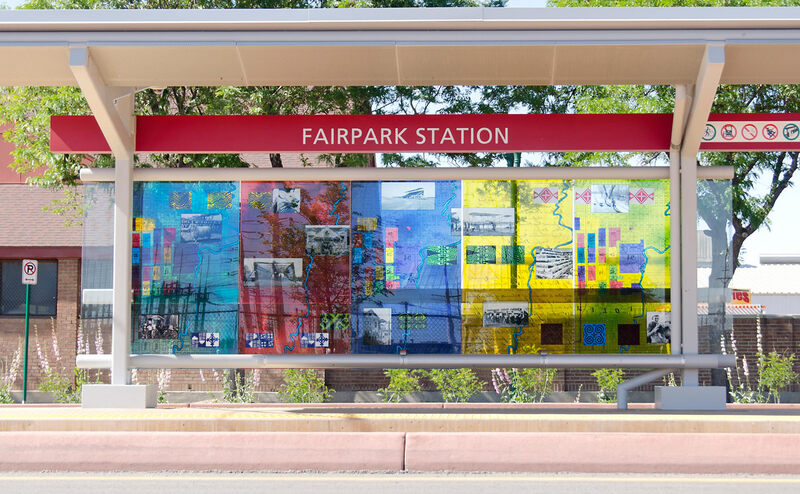 O’Neil created colorful collages which were translated onto glass fabricated in Germany for the two-18-foot windscreen panels on the platform. 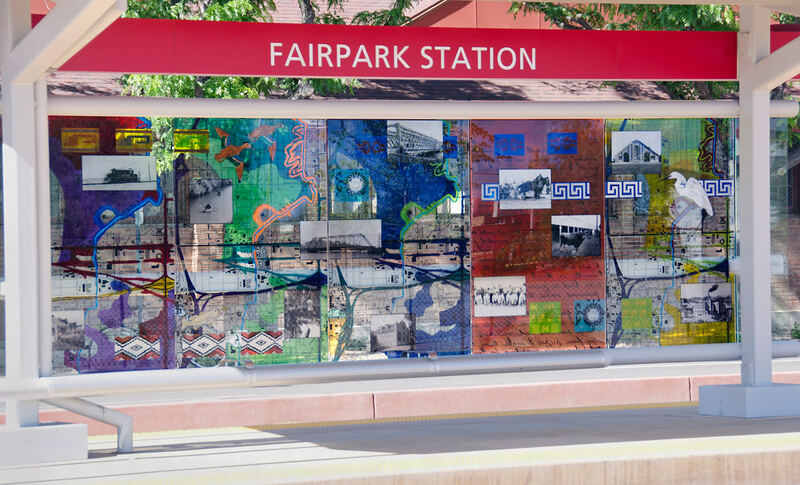 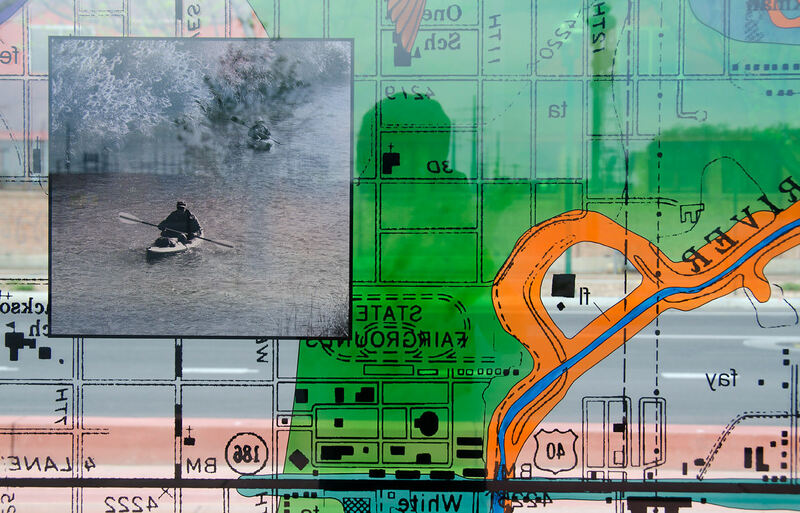 She spent four days in Salt Lake City doing extensive research on the Fairpark neighborhood through interviews, site and library visits, and studying archival records. 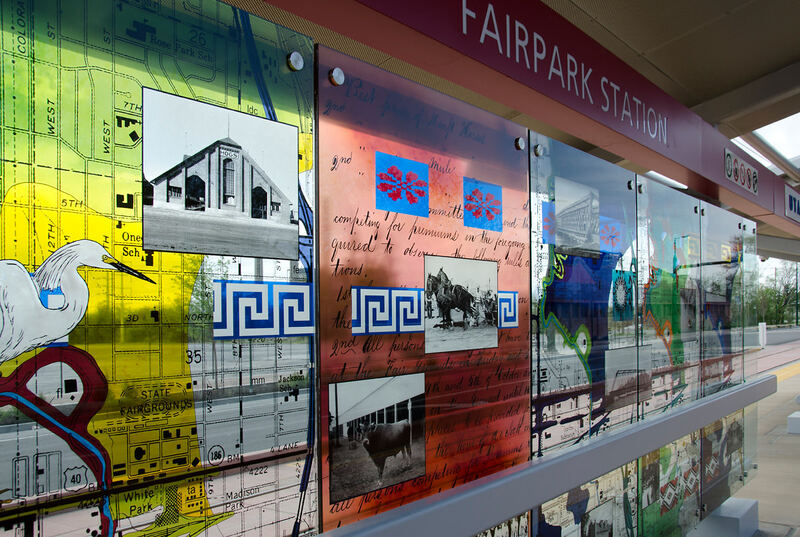 Through the use of color, design, historical maps, photographs, and manuscripts she wove together a rich history of the cultural diversity and events of the Fairpark community including elements of the Jordan River, the Utah State Fairpark, North Temple, and a diverse community that includes people from all over the world.